Zimbabwe is a landlocked country in southern Africa known for its dramatic landscape and diverse wildlife. The country's economy has suffered in recent years and poverty and unemployment are endemic throughout the country. 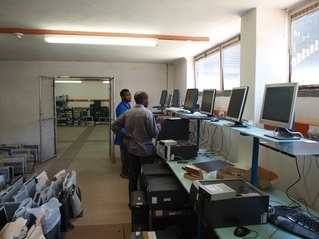 IT Schools Africa established a programme, IT Education Zimbabwe (ITEZ) to manage the distribution of computers in Zimbabwe.